An introduction to basic techniques essential for beginners for successful moldmaking. Techniques for making cavity molds, multi-part molds, and other methods to mold complicated originals. Projects you can do at home for fun, school, or home repairs. Capture and reproduce detail from the human body safely and accurately. Make breakaway glass, realistic props and other special effects. Using machinery or spray systems for making molds for concrete casting, architectural restoration, and more. Make a custom candy or ice mold, even personalized chocolate, fondant or cake molds. Techniques used to restore old or create new architectural elements. Techniques for developing your idea into a three dimensional physical representation. Create displays for retail, theatrical, or even home usage as well as tutorials for solar cell encapsulation. Make repairs, recreate parts, or make your own custom parts for prototype or production applications. Make your own medical training aids or variety of custom and stock Prosthetics and Orthotics. 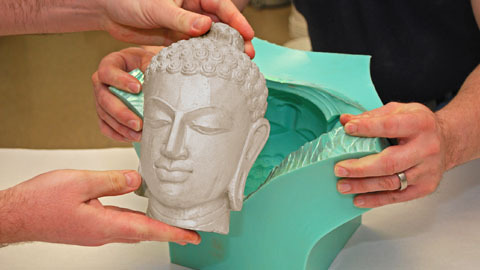 Make molds that capture very fine detail down to a "finger-print" to make exact reproductions. 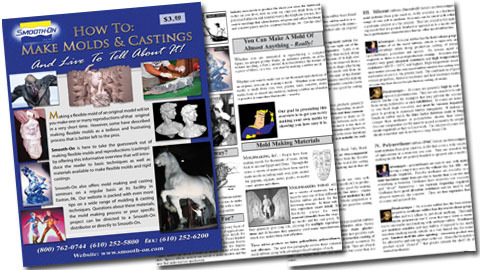 Create, or make accurate reproductions of original sculpture and art displays. 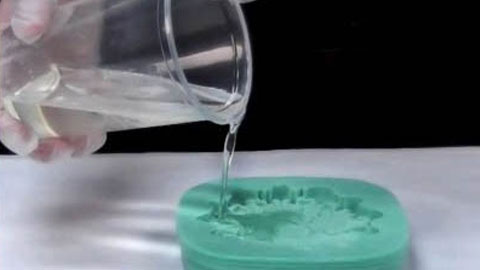 Using silicone to create reusable vacuum bags for resin composite applications. Applications using sprayable materials and equipment. Rubbers, plastics, foams, pigments, etc. for realistically reproducing wildlife. Smooth-On Materials for Cosplay applications. Fabrication of displays used in theme parks, zoos, aquariums and more.